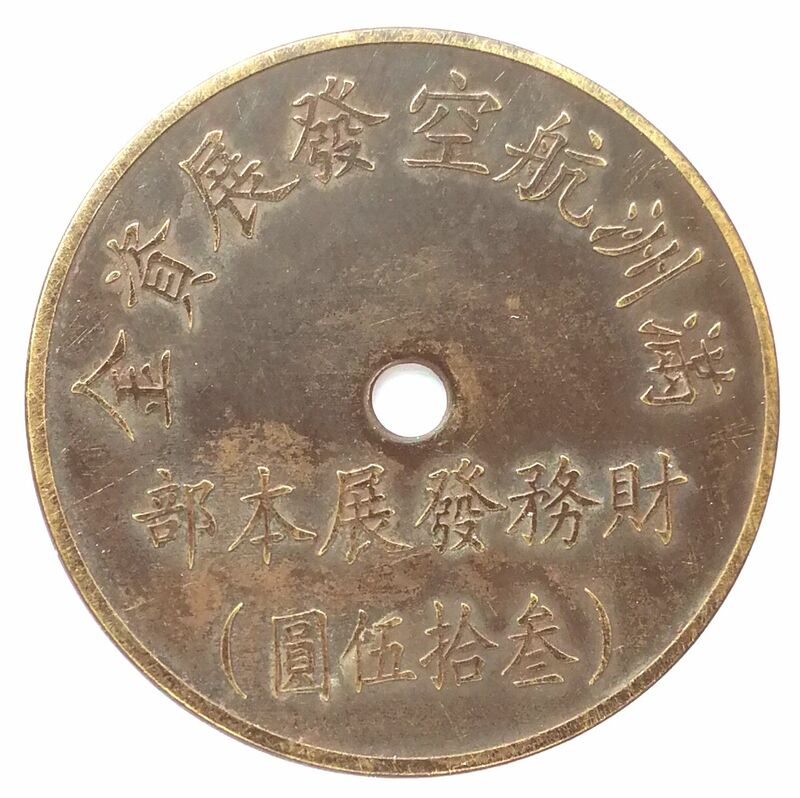 BT485, Manchukuo Aviation Development Fund, 35 Yen Token, 1945. Please refer the picture, issued as token, not printed on paper money. This kind of bond can be circulated in the market, just as coins.